Treat bags (girls on right, boys on left) for the kids included themed penguin and snowman straws, puzzles, lip gloss, activity books and candy. 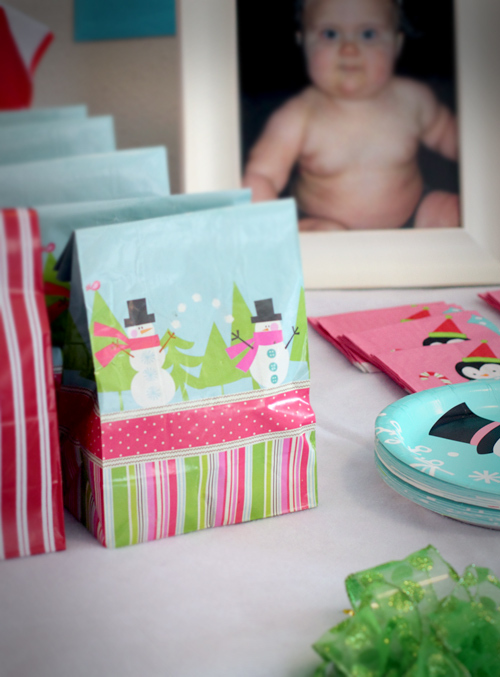 I designed the cupcake toppers and then added colorful paper backing from Chistmas cards (matching the treat bags) and various scrapbook papers. In our family, we refer to the Gluten Free items as food for 'special tummies' so they were named appropriately. 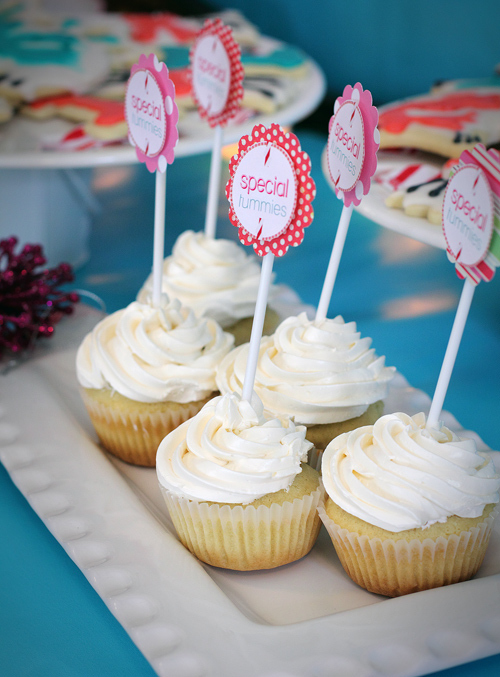 More personalized cupcake toppers for the birthday girl!! 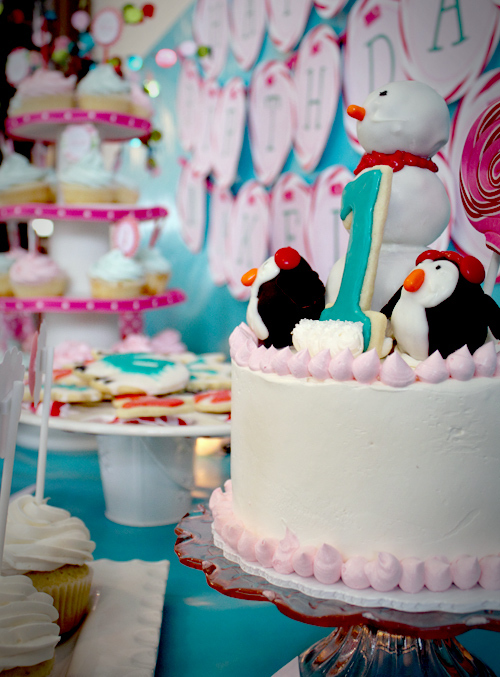 Among the cupcakes and cookies for guests, the birthday girl got her very own small cake! 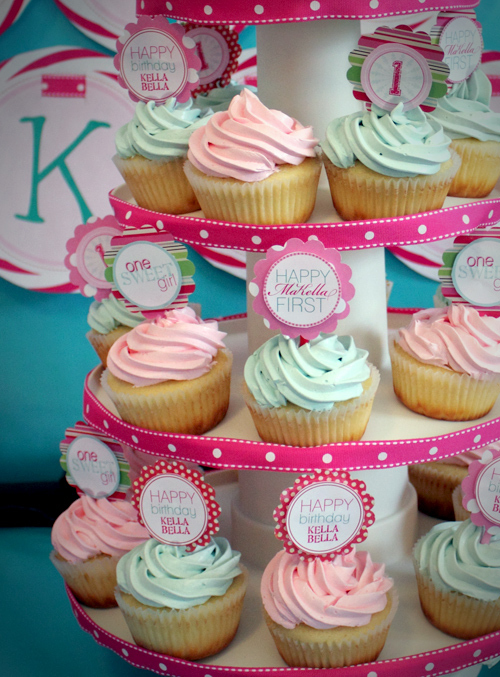 The banner was also an original design that I printed and cut out and used adorable pink ribbon to tie it all together. 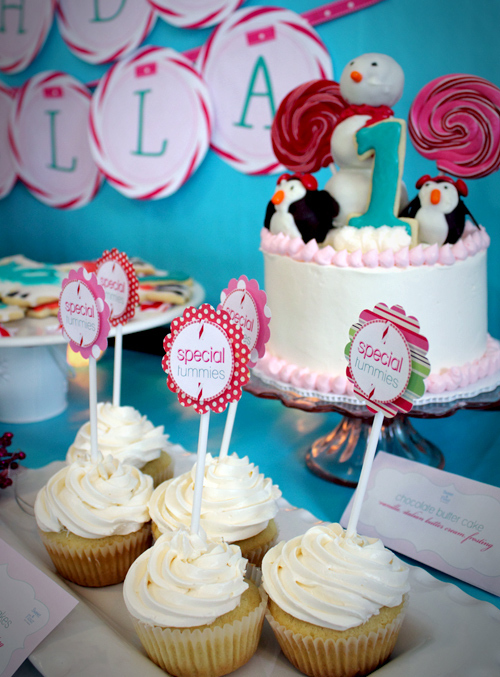 All of the treats had cards designed to go along with the appropriate foods. 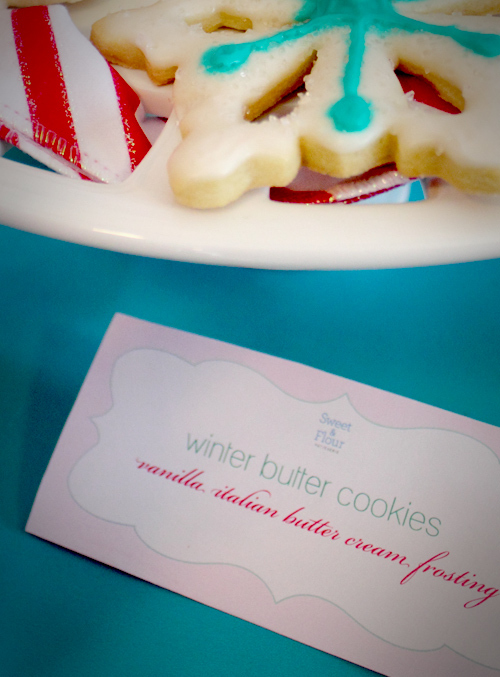 I added Sweet & Flour's logo, too. The birthday girl's special cake. More treats! Once again, all of my entertaining dishes that I have from selling Southern Living at Home products in the past came in rather handy. 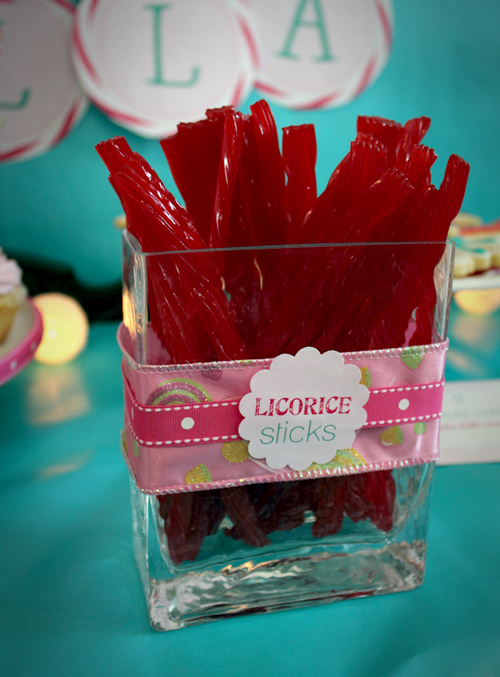 This little versatile vase held licorice adorned with ribbons. THE HIT OF THE PARTY! 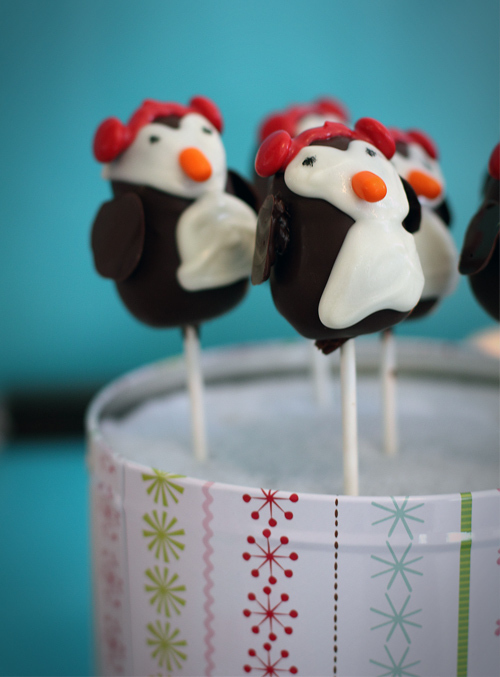 These absolutely adorable penguin cake pops stole the show. 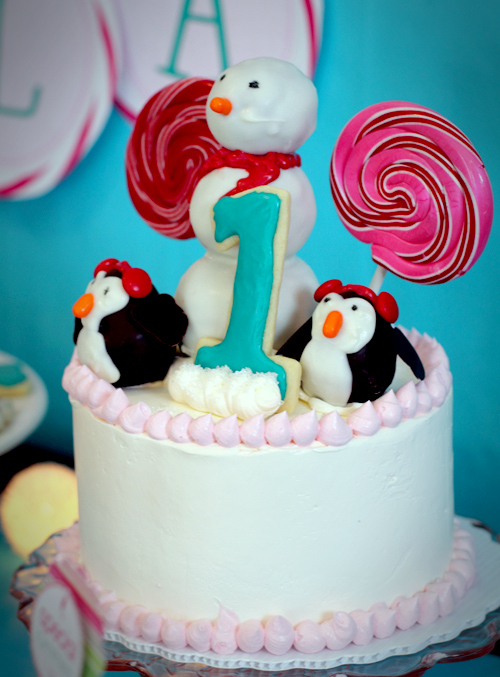 Chef Shanda really went all out creating these lovely little guys complete with M&M ear muff and Tic-Tac noses! The container was something I already had (again, picked it up at an after Christmas sale one year at Target!) and matched the theme nicely. Cake Pops came out super cute! Lovely!